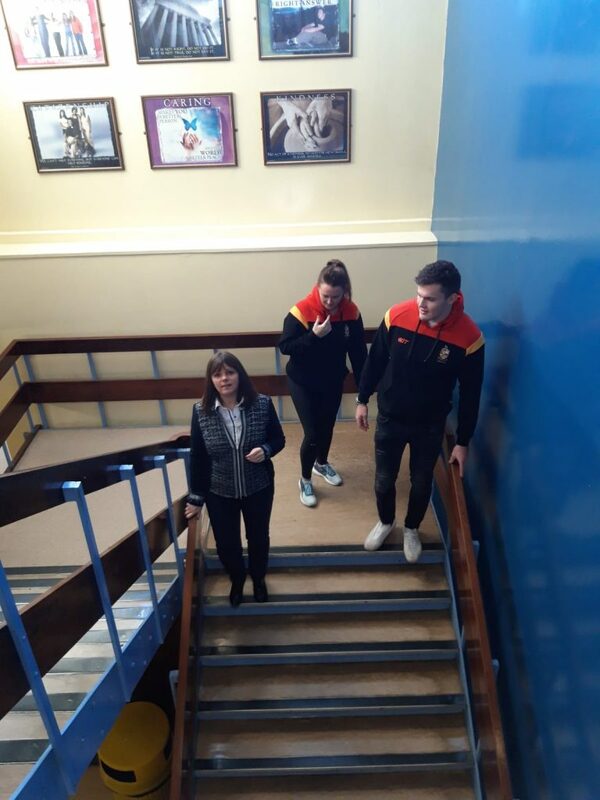 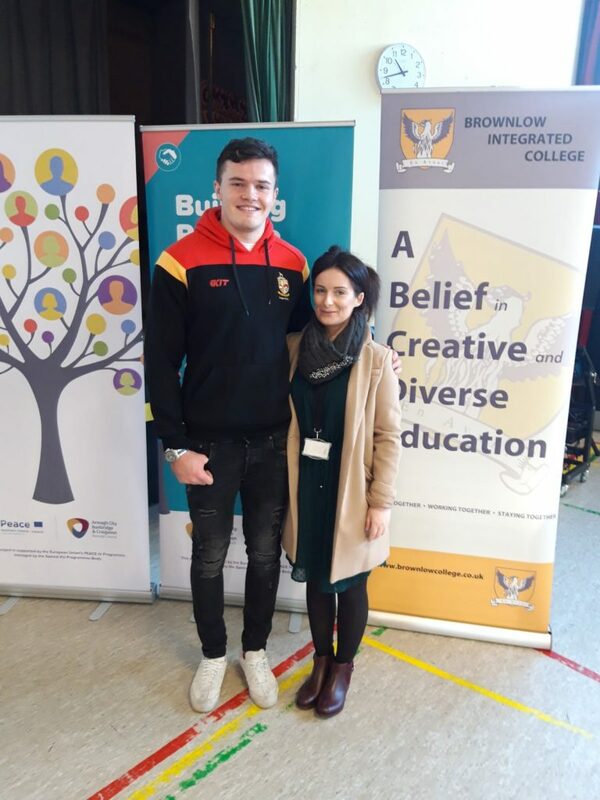 HomeGalleryJacob Stockdale Visits Brownlow I.C. 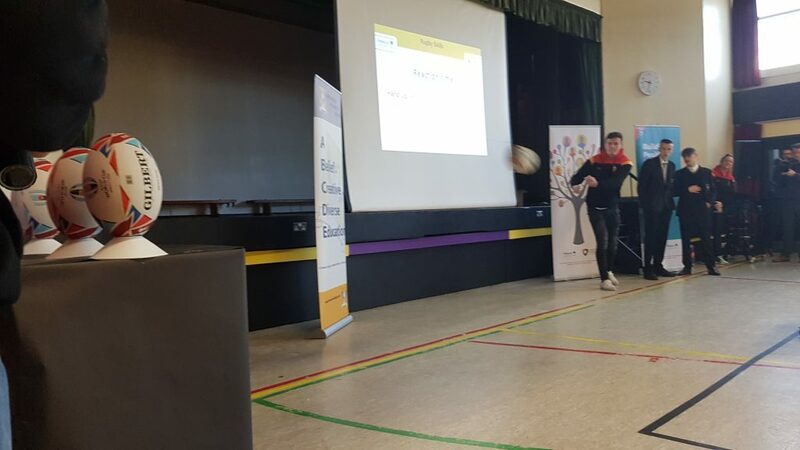 What a morning we have had in school today. 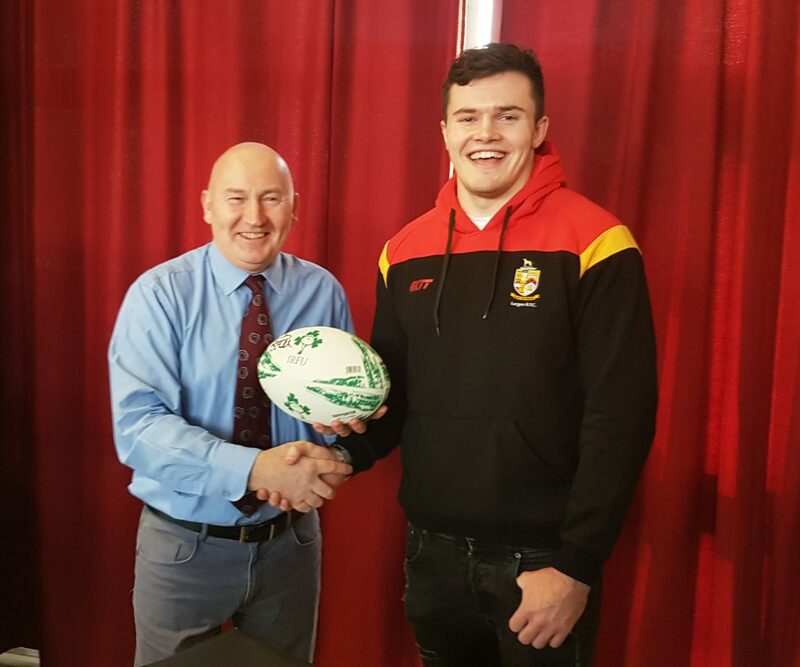 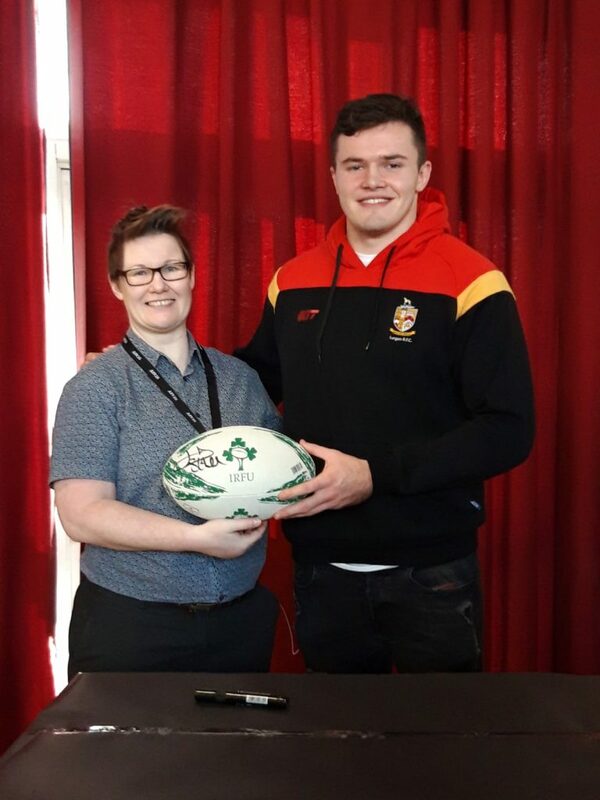 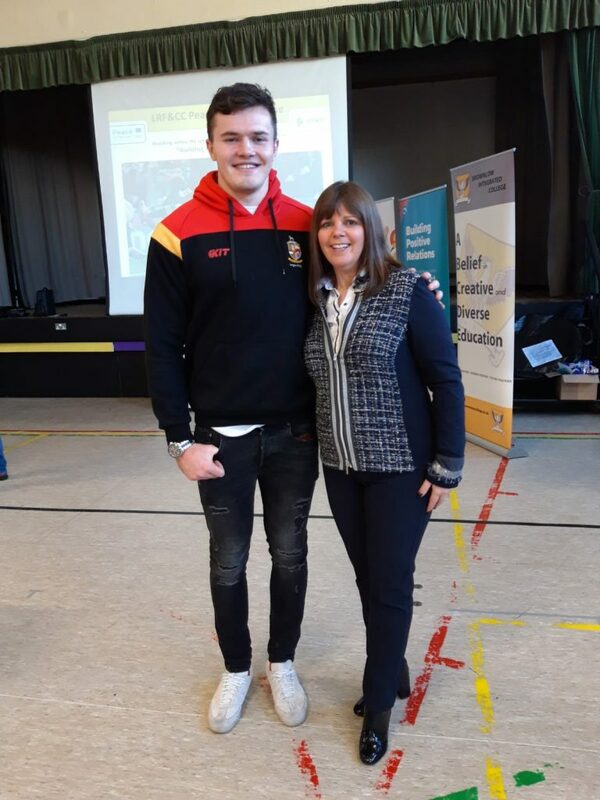 We had the pleasure of the company of Ulster and Ireland rugby star Jacob Stockdale. 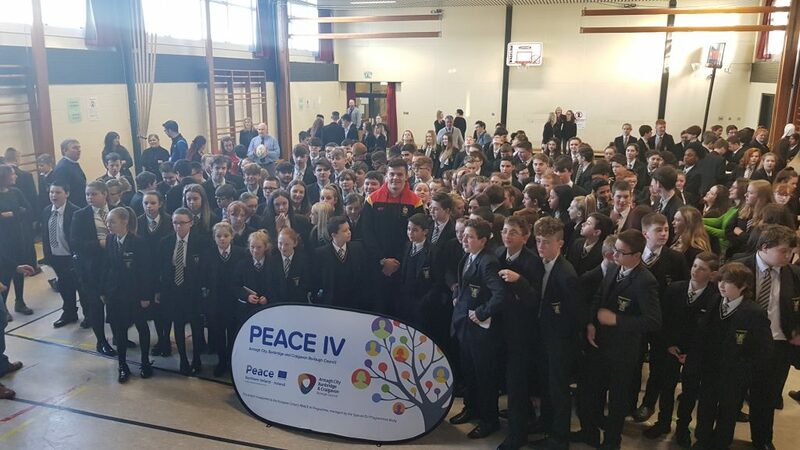 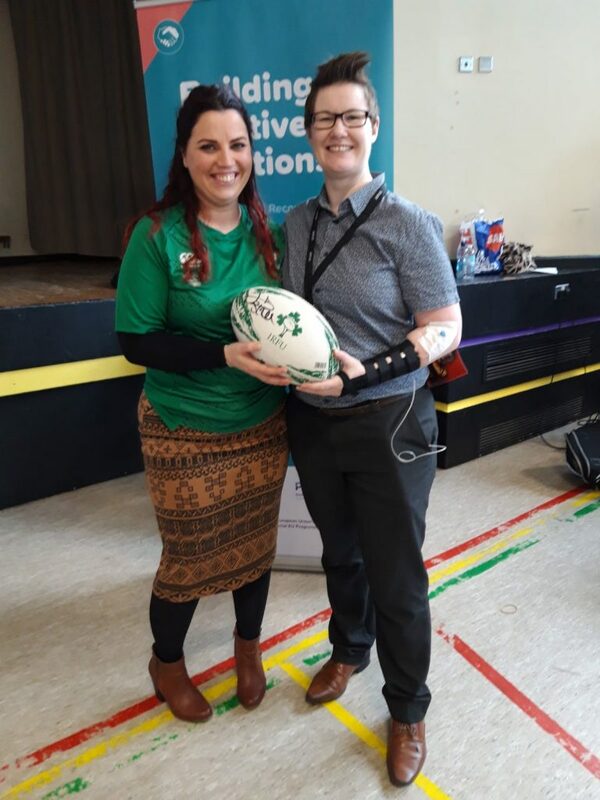 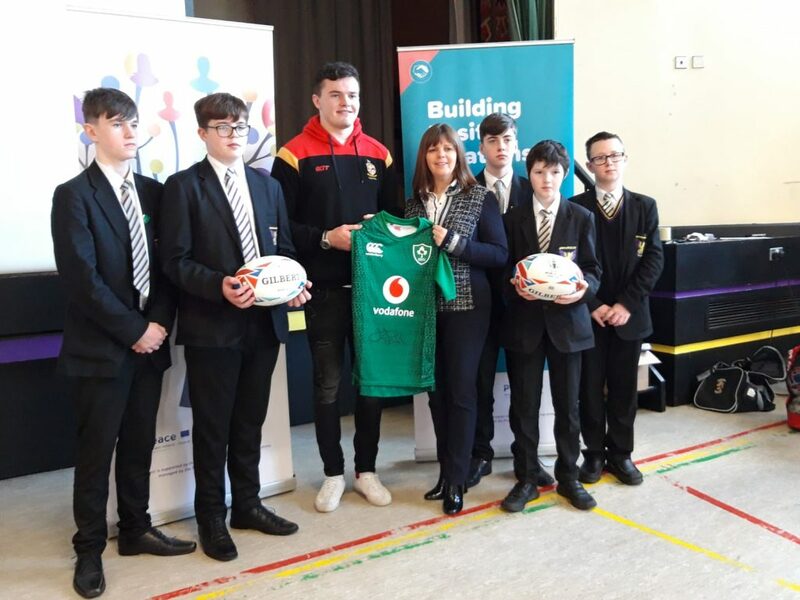 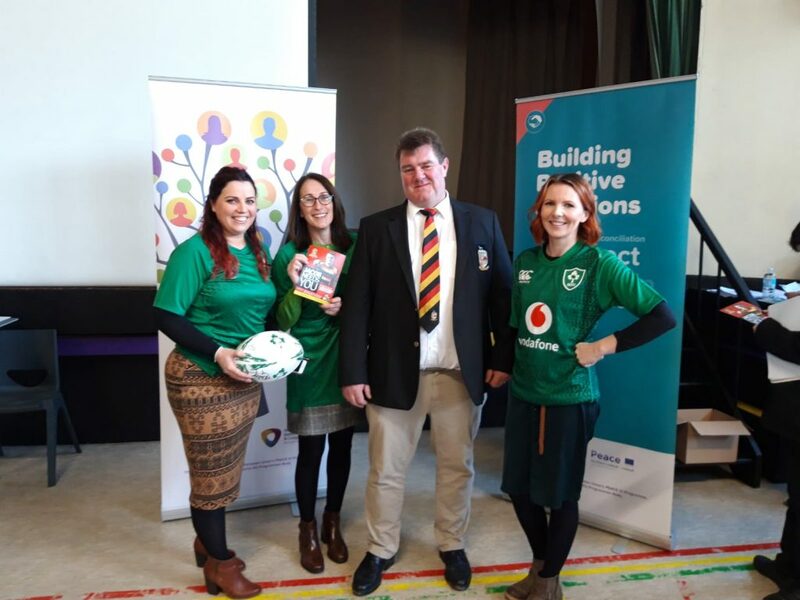 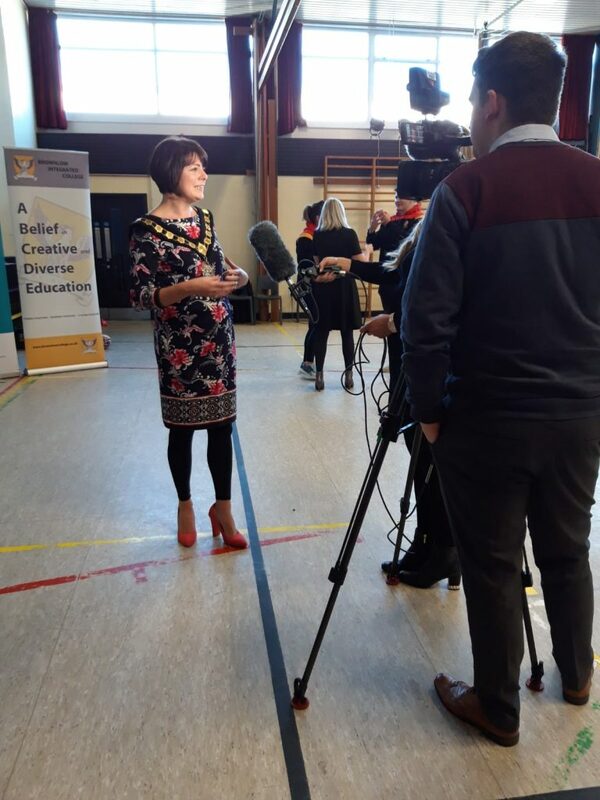 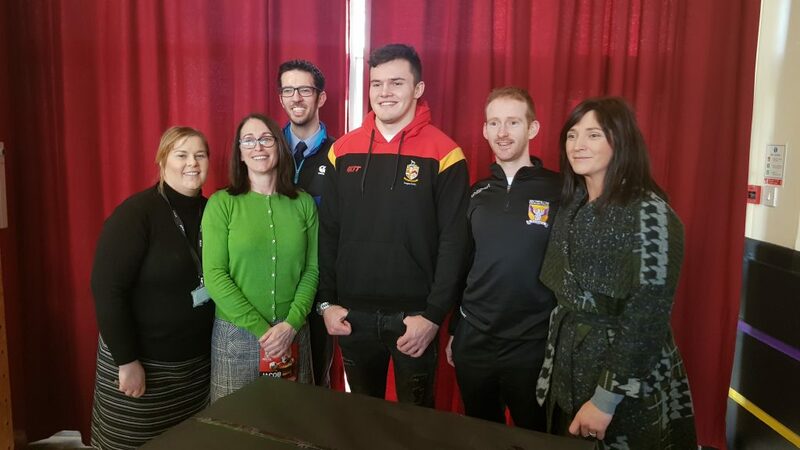 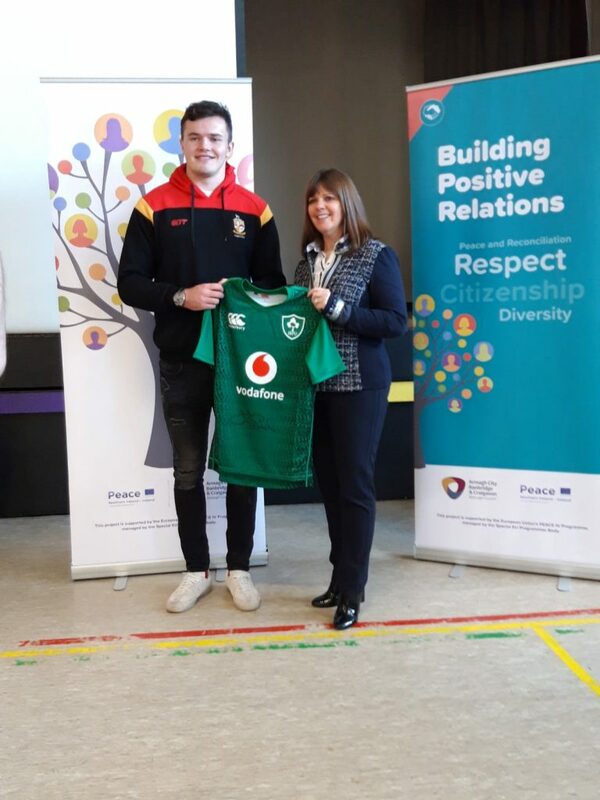 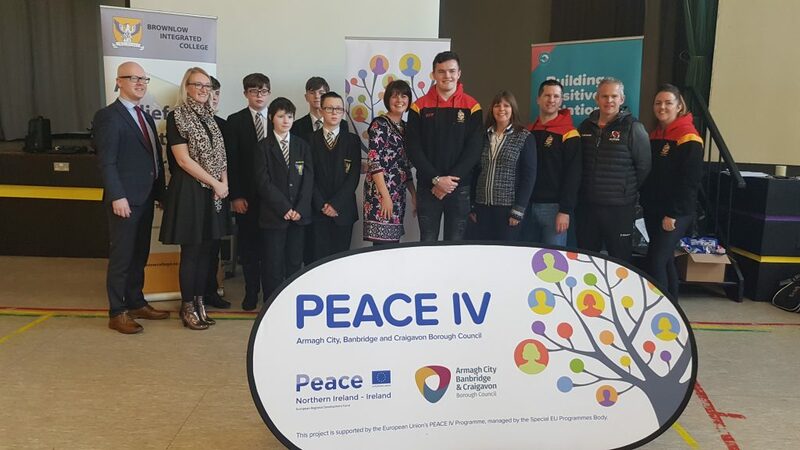 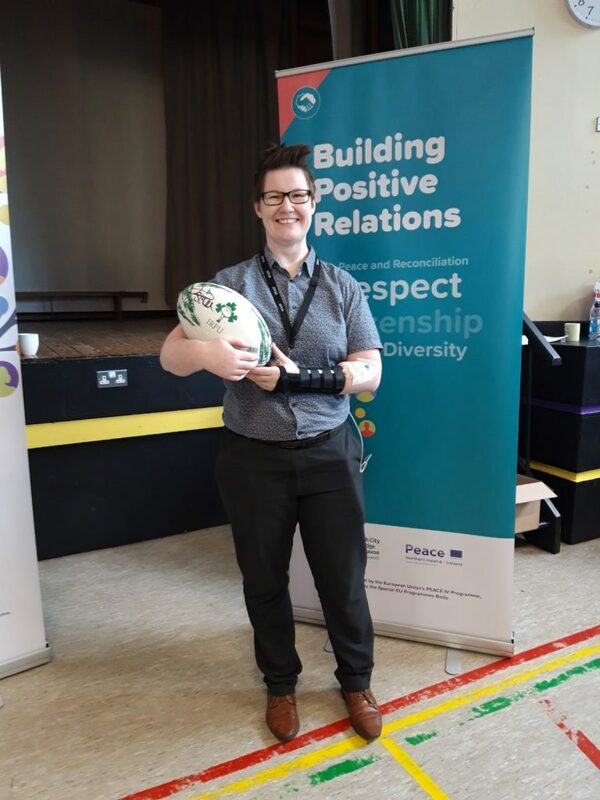 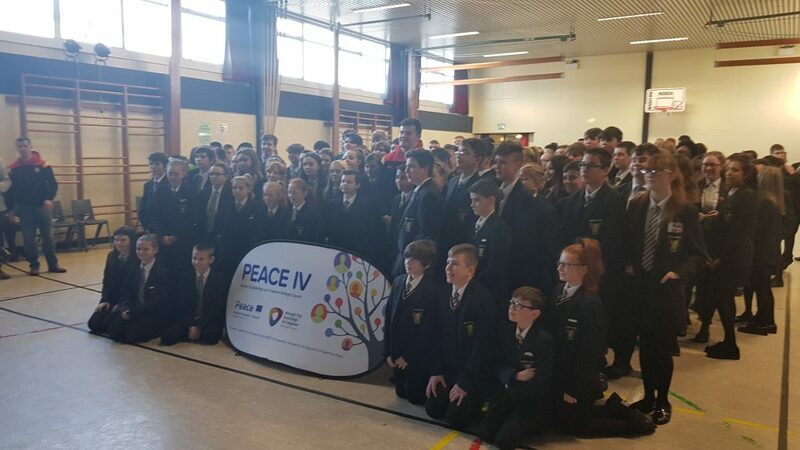 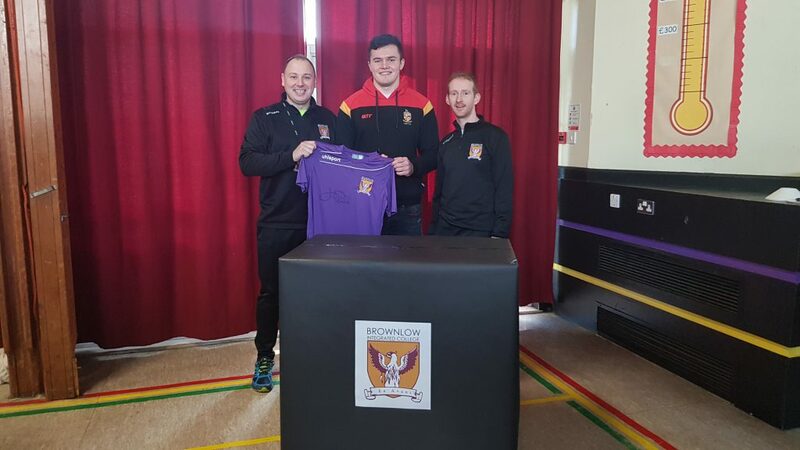 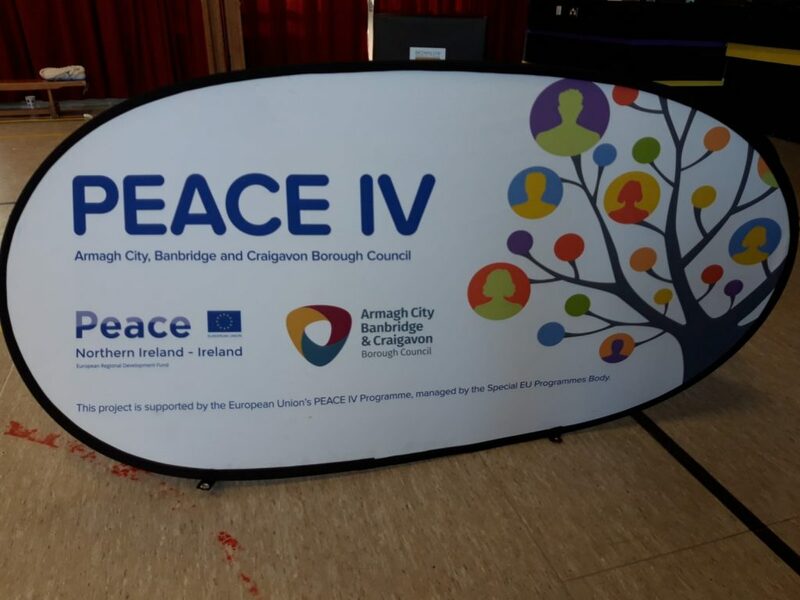 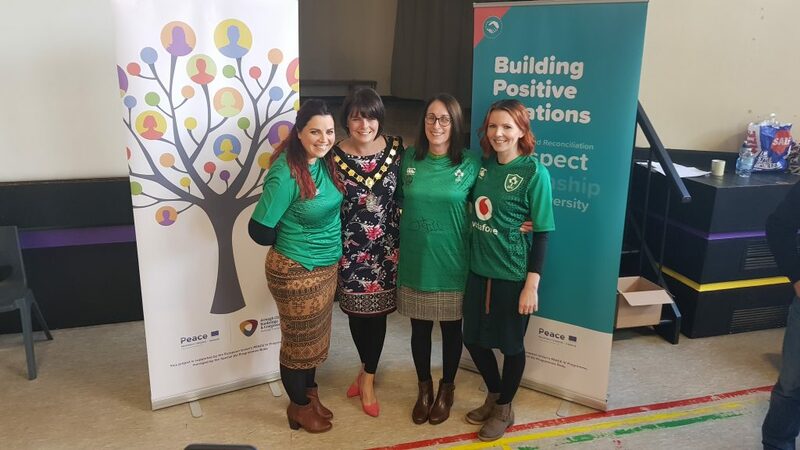 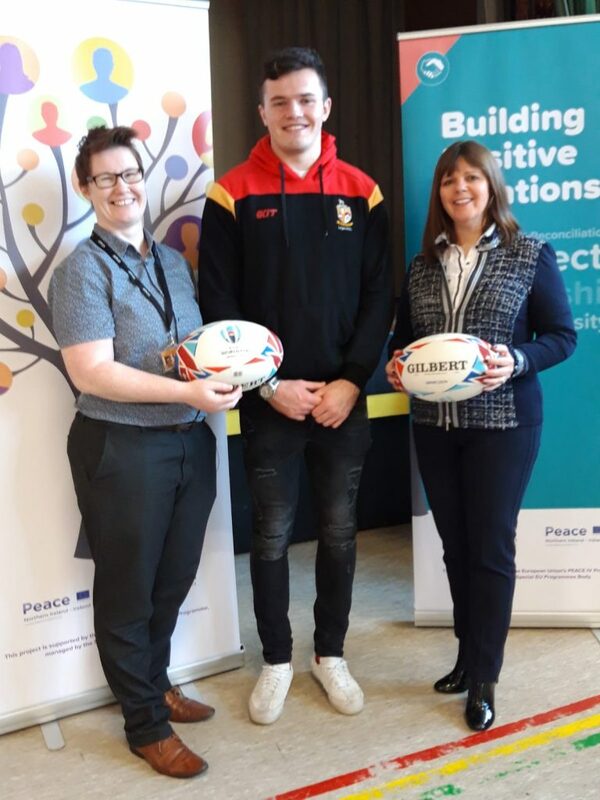 Jacob was in school, alongside Lurgan Rugby & Cricket Club representatives, to launch the new Peace IV cross community rugby project in conjunction with the Armagh, Banbridge and Craigavon Council. 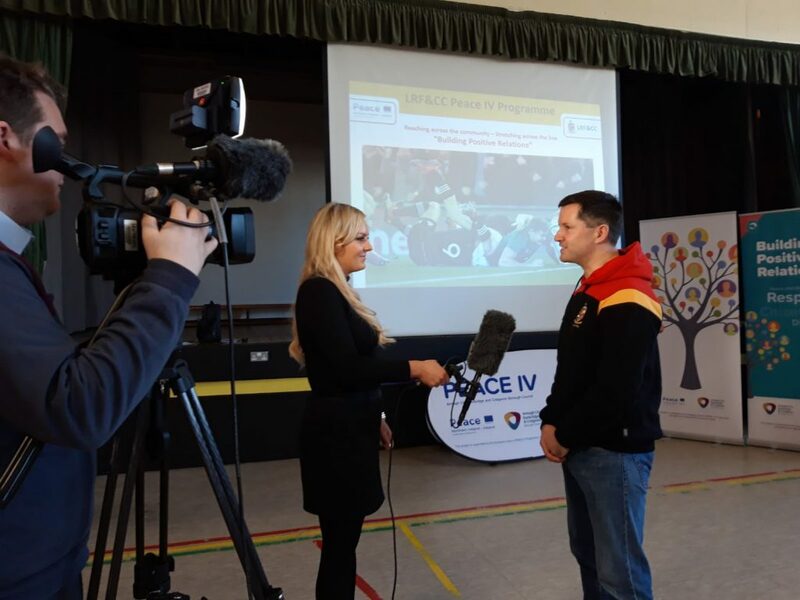 For more information on the Peace IV project please visit www.lurganrugbyclub.com/peace-iv. 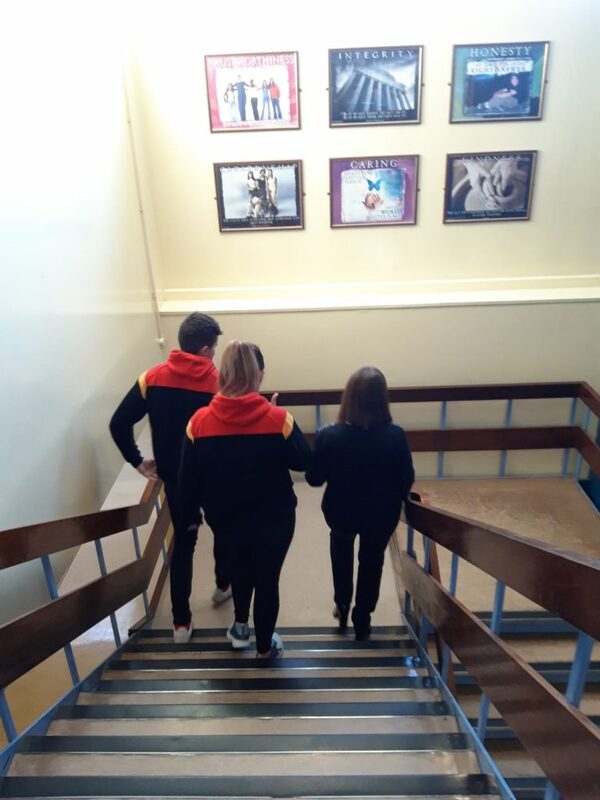 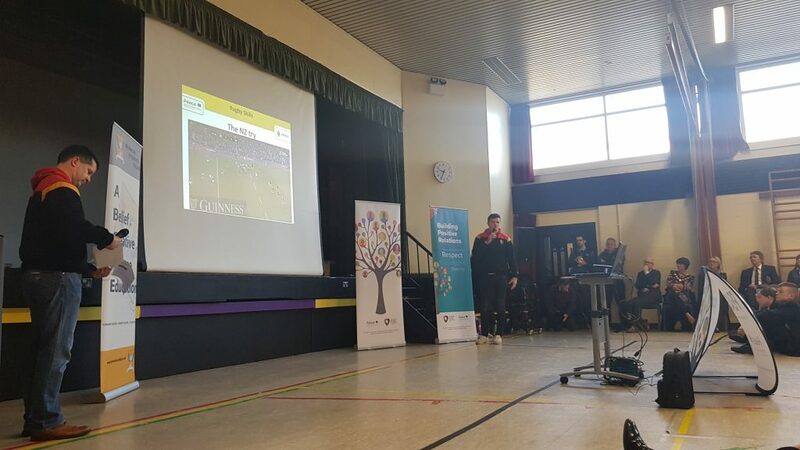 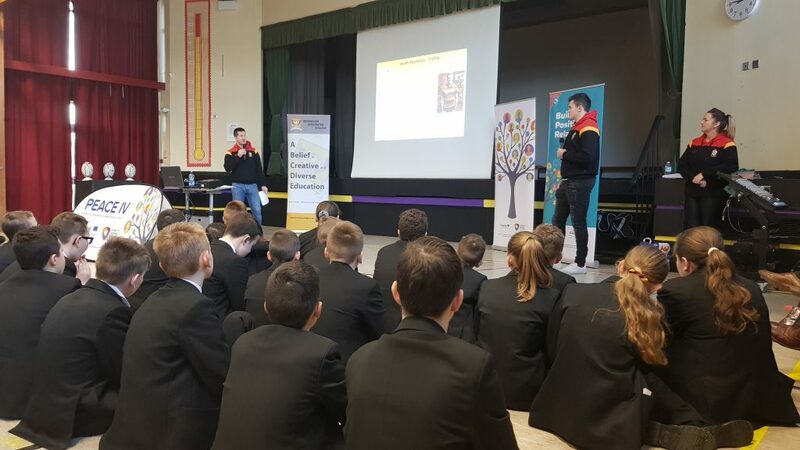 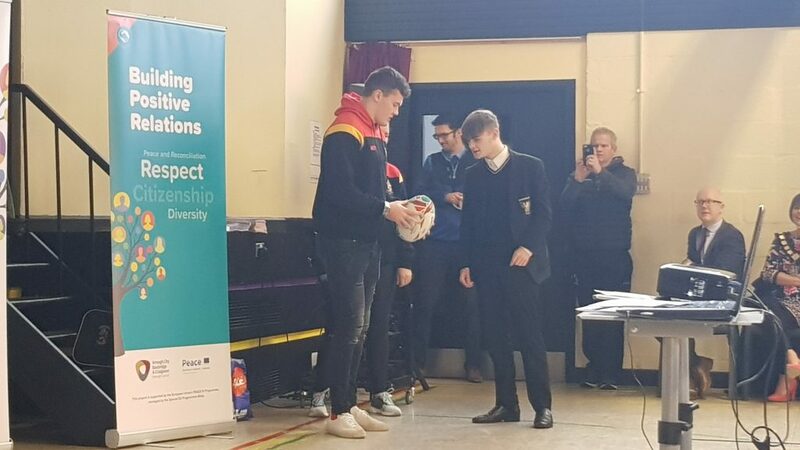 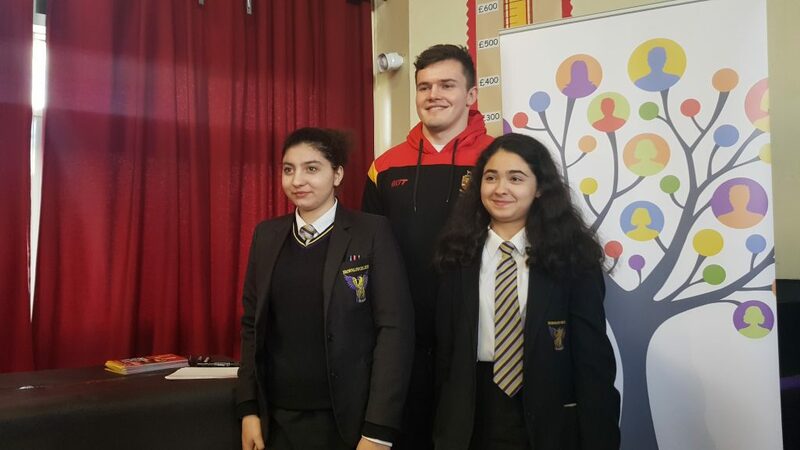 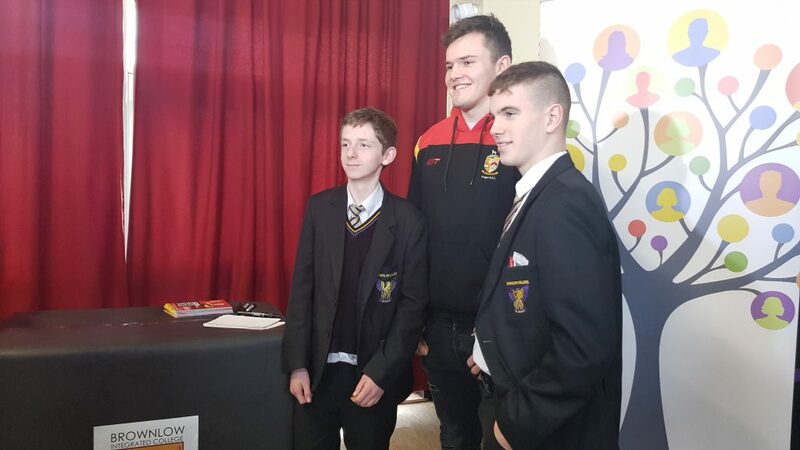 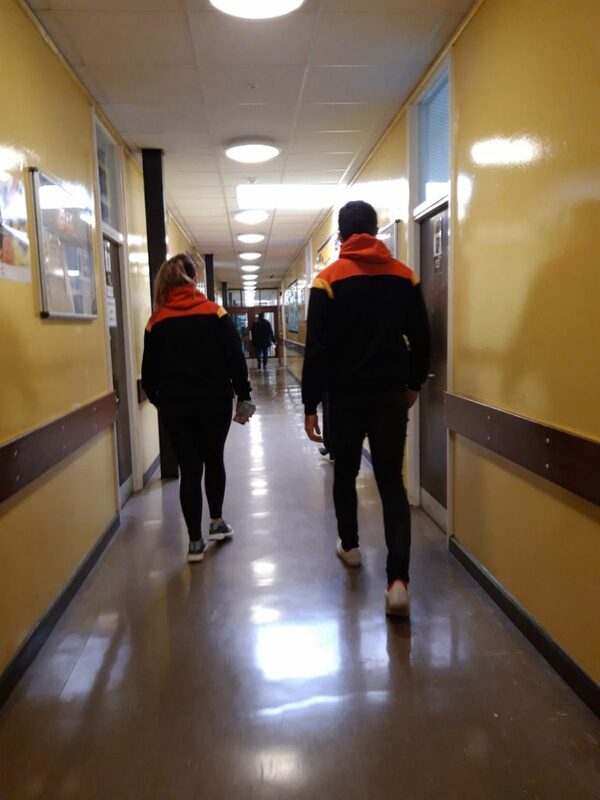 Jacob took the time to speak with our pupils on rugby in general, his career from a member of the Ulster Development Squad and how it has rocketed in the last 18 months to secure 50 Ulster caps and 12 tries in 14 Ireland caps. 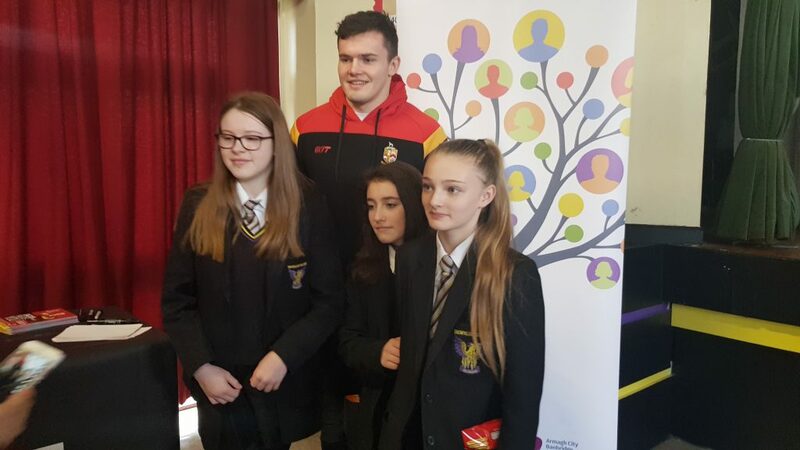 He answered questions from the pupils and spent a very very long time taking photos and signing autographs. 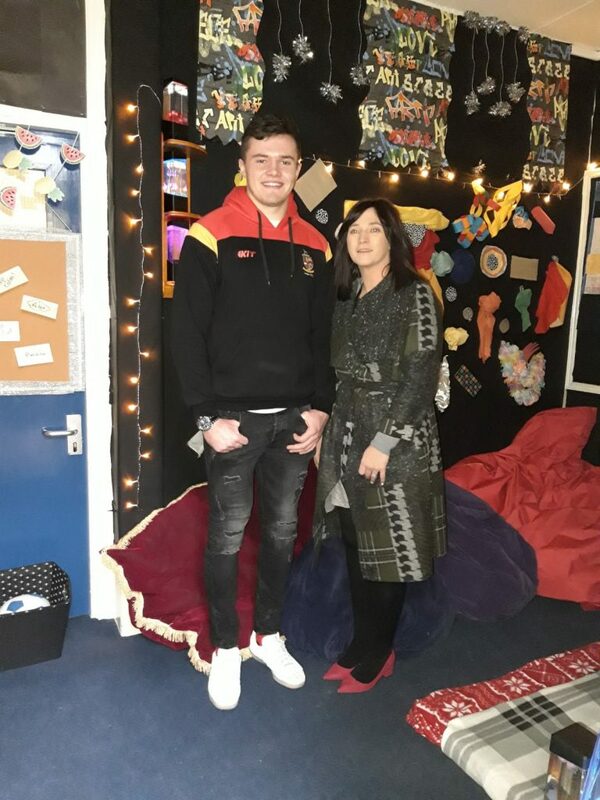 He also took in a tour of the school including our new sensory room. 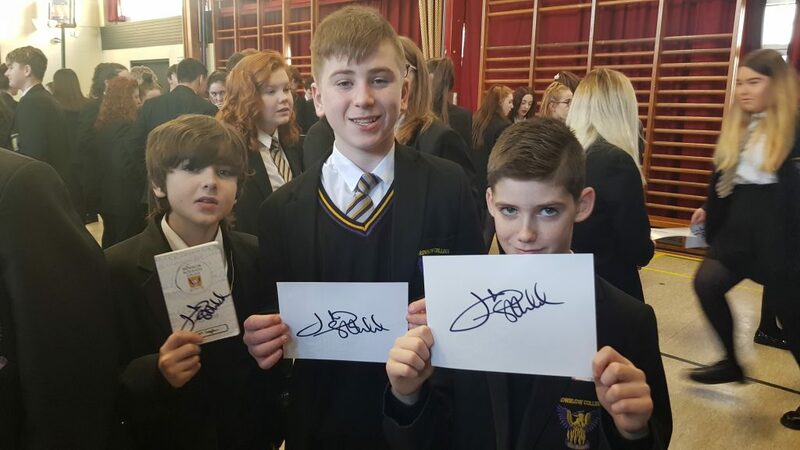 Thank you Jacob for taking the time with our pupils (and the even more excited staff). 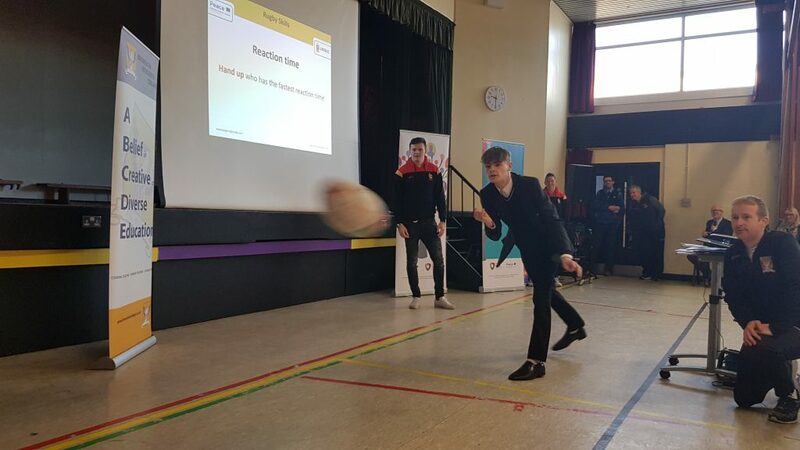 Any boys interested in taking part in the rugby programme, which will begin after school on Monday 21st January, please speak with Mr Gosling to sign up. 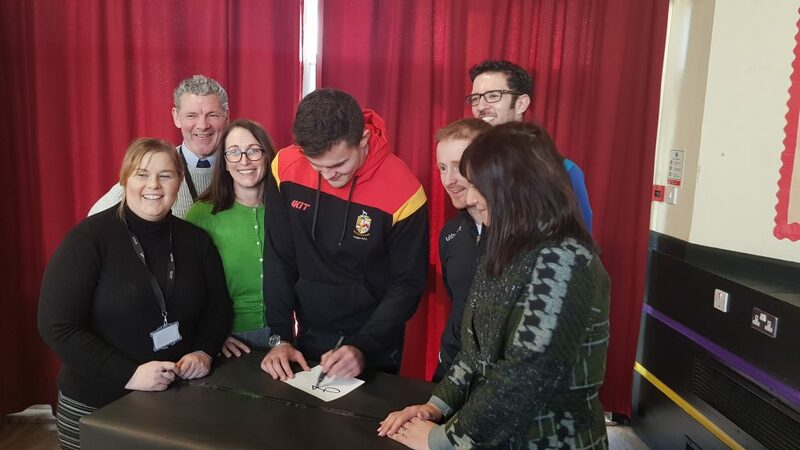 Those that sign up will receive a free mouth guard courtesy of www.thegordongroup.co.uk. 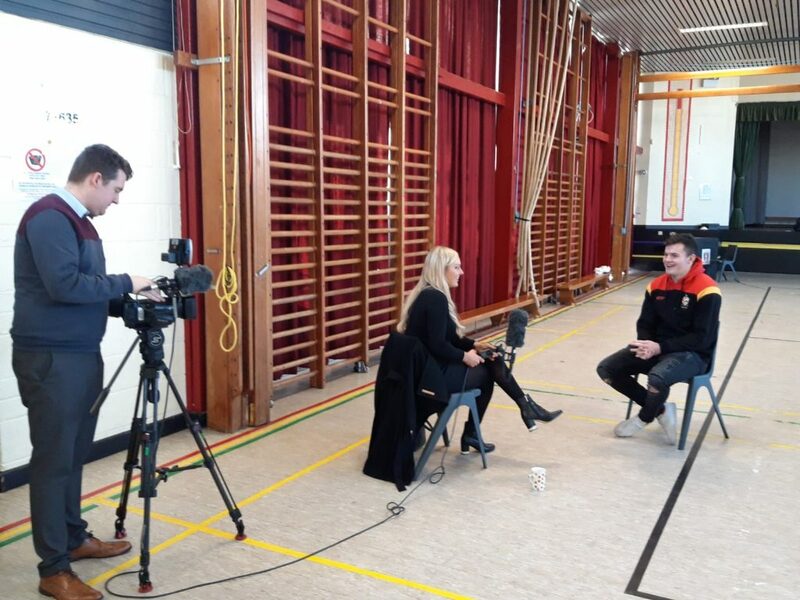 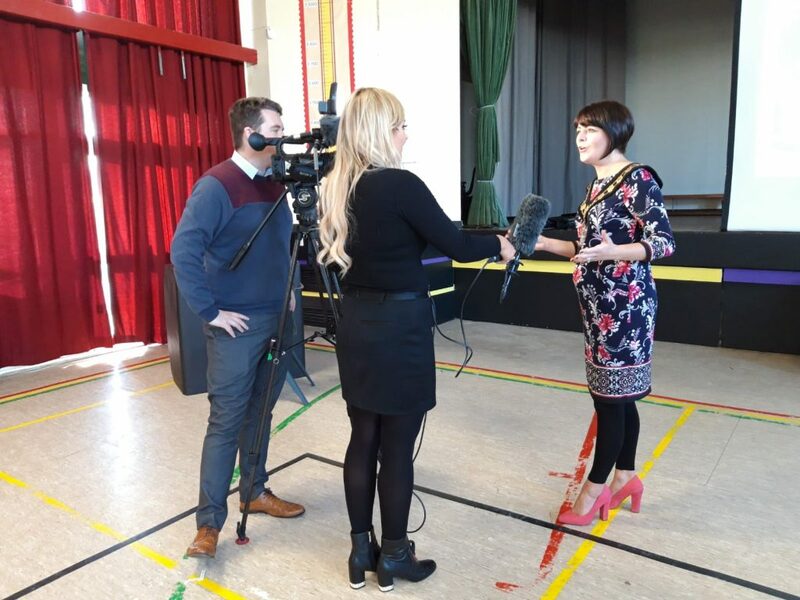 Keep an eye out on UTV Life / News over the next few days for Jacob’s interview with Ruth Gorman. 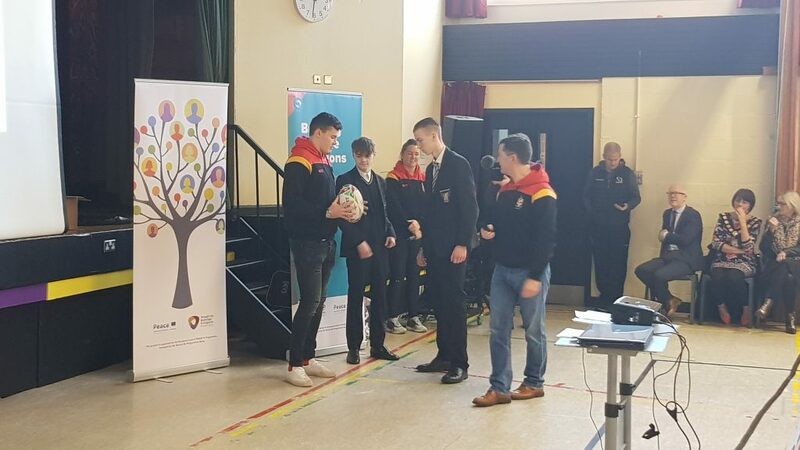 A huge thanks to Mr Gosling for organising the event this morning alongside Gavin Warwick from Lurgan Rugby & Cricket Club.